After making a buzz in Pakistani automotive circles for months, Changan Automobiles is expected to launch its much-anticipated CX70T in the country soon, sources confirm. With its enhanced interior decor and an elegant exterior design, the 7-seater SUV is going to prove to be a tough competitor for the auto giants in Pakistan. The company recently launched the CX70T SUV in Chile to resounding success. What has made this SUV successful? Let’s find out. Changan debuted in the Pakistani market in March this year. The CX70T and three other commercial models were shown off in the International Trade & Industry Fair held in Karachi. The company has since been in the news, followed by the signing of a joint venture (JV) agreement with Master Motors to assemble LCVs, MPVs, SUVs and Passenger cars in Pakistan. The CX70T’s exterior design is a class apart, when considering it with Changan’s other models. It is one of the finest yet controversial vehicles of the Chinese automobile company. Finest, of course for its design, and controversial because the SUV looks like a carbon copy of Jaguar Land Rover’s iconic Range Rover. Despite this fact, one can’t deny that the styling of the car is a work of art. It comes in five standard colors (red, white, black, grey and green) with Range Rover-inspired broad shoulders front-end, headlamps, 17-inch aluminium alloy wheels and 5 7” tires. The car has a rugged plastic body cladding and attractive overall proportions that make it look like a bold, tough and imposing SUV, great for the target audience. It measures 4705 x 1800 x 1775mm, a touch smaller than the Toyota Fortuner (4795 x 1855 x 1835mm), with a bigger wheelbase of 2780mm in comparison to Fortuner’s 2745mm. Changan is known for its remarkable interior, and CX70T is yet another piece of art. It is a proper 7-seat SUV vehicle with a front engine & rear wheel drive configuration. The easy-to-drive car offers a generous space for occupants, having enough head and leg room in the first two rows. The third row seems to have been built for occasional use, yet perfect for children. Airbags, ABS with EBD etc. The CX70T is equipped with Changan’s efficient and powerful Blue Core 1.5L turbocharged engine paired with Japan’s Aisin 6-speed automatic transmission (with less than 8 seconds shift response), 96% efficiency, and 6.21 maximum speed ratio. 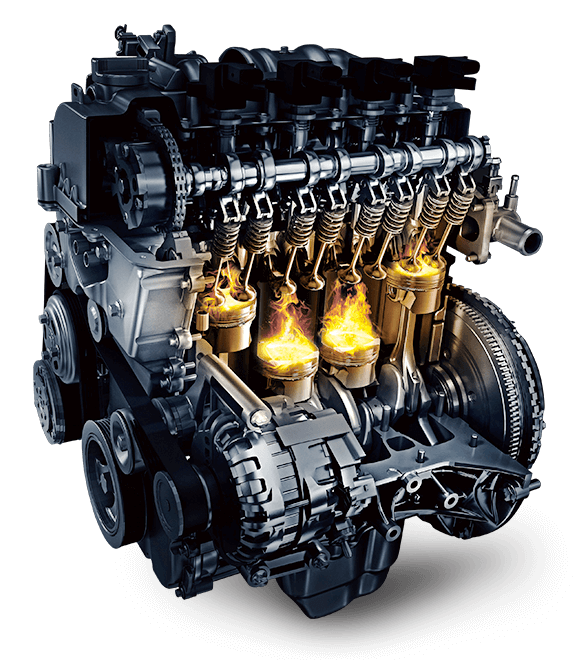 This is a high performance, turbocharged 1.5 litre unit that produces an impressive 110kw (148hp) of power at 5500rpm and 230Nm of torque at 2000-4000 rpm. Its fuel economy is rated at 7.6 litres per 100 km which breaks down to 13.2 km/ litre, which is quite efficient for a big guy like CX70T. Additionally, it performs smoother and quieter at 37.6 dB idle noise. Automotive pundits, concerned about the fuel quality in Pakistan, are raising eyebrows on its engine choice, but Changan (the manufacturers) and Master Motors (the distributors) believe that those fears are unfounded. Since the company has not officially launched the SUV in Pakistan, its cost is yet to be determined. The CX70T is, however, worth CNY 109,900 in China, which is around Rs. 2 million at the current exchange rate. When asked about its final pricing plans in Pakistan, Master Motors representatives mentioned that the car will be priced between Rs. 2.7 to 3.3 million depending upon the features. 8 second response? seriously? first even automatic transmission wouldn’t have this slow response. it must be 0.8 seconds. Our first reaction was exactly the same, but we can only write what Changan’s website provides us with. an possible typo, don’t you think ? Looks more like the 2017 ford explorer to me…specially from the sides. Plus, who wouldn’t love a decent knock-off of a Range Rover at a discounted price ?